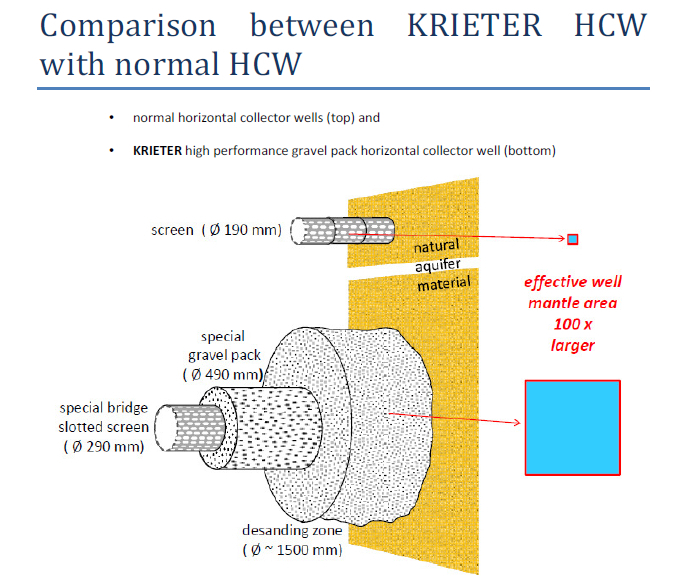 The high-performance “Horizontal Collector Well with Gravel Pack”. Our method is approved for more than 50 years, even the wells from the 1950’s are still in operation. Using simpler methods of HW (without gravel pack, smaller diameter, without our site specific adaption to local aquifer conditions, etc.) will cause a fast clogging of the screens with rapidly decreasing of abstraction rates. Investing in such a simple well is lost money for the water supplier. When a large water supply is needed and/or a shallow aquifer near a source of recharge (a lake or river) is available, a horizontal well or collector well (both terms are used) is the first choice. Most water wells are constructed in a vertical direction. Such a vertical well is partially or fully penetrating the aquifer thickness. The only advantages of vertical wells over horizontal wells are lower production costs and shorter construction time. On the other hand, horizontal wells have a lot of very important advantages – and on the long term, they are more economical. 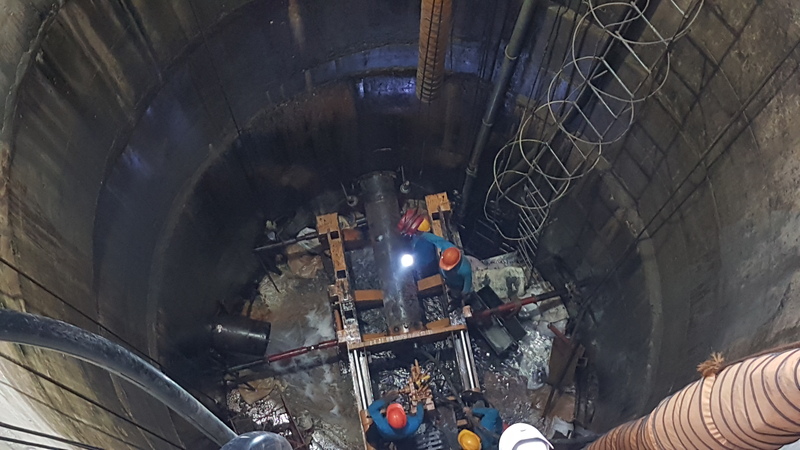 A horizontal collector well consists of a vertical concrete caisson (shaft of concrete rings with a diameter of 2 – 4 m), and lateral well screens (usually named legs or laterals) extending radially from the caisson. A lateral is typically 50 m long (also lengths of more than 100 m are possible). There may be one to ten or more laterals at multiple elevations depending on the hydrogeological properties of the aquifer. the HW causes a much lower drawdown of the groundwater table than the VW; this reduces negative impacts for other land users (agriculture etc). low maintenance costs, as one HW replaces up to 10 or more VW. We exclusively use a German pushing method with the largest tube diameter and the highest trusting force in the HW industry. 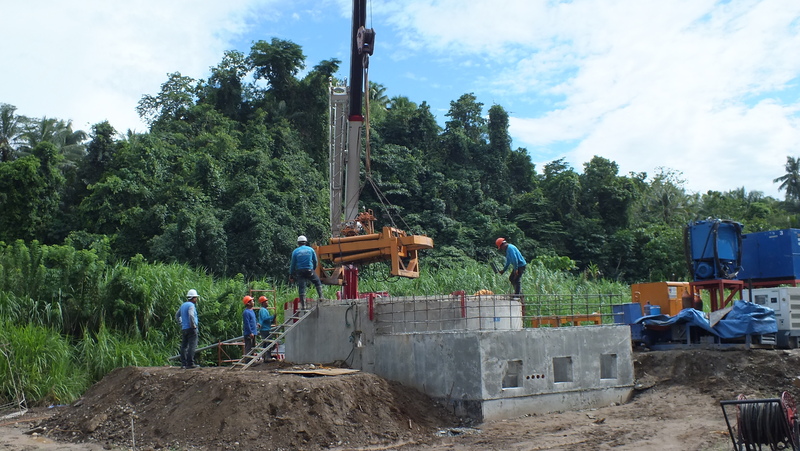 During our drilling process the existing k-value/conductivity of the aquifer is not negatively affected because of the use of pure water without any drilling mud.